For Paul Dancy, D.C., it all comes down to range of motion and body function. 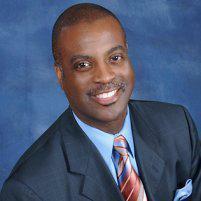 Dr. D. heads East Bay Chiropractic Group, with offices in Oakland and San Leandro, California. His style of rehabilitation treatment focuses on what a patient can do and expands on that — relieving pain, restoring the body’s alignment, and creating the best opportunities for natural healing. Don’t endure limited motion and pain. Call Dr. D. for an appointment today. Over time, repeated motion, poor posture, and just plain living can take a toll on a person’s body. An occasional ache becomes chronic pain as the bad habits of the musculoskeletal system become entrenched. These pressures and tensions interfere with communications between the various systems of the body. Chiropractic adjustments aim to restore natural alignment of the body, and by doing so, restore the lines of communication between the brain and natural healing systems. The pain relief that often accompanies a chiropractic treatment may be the most noticeable effect. The patient’s range of motion returns in the previously problematic joints. Blood flows more effectively and the body starts repairing itself. No matter the specific area of pain, chiropractic treats the whole body as a means of supporting physical rehabilitation. What does chiropractic rehabilitation involve? While most people tend to rest after a painful accident or injury, often movement is the best treatment. Typically, the first stages of chiropractic care involve pain relief. The process doesn’t end when the pain fades, however. Staying active and taking advantage of improved range of motion and function helps keep the body balanced. Dr. D. may recommend stretches, movements, and exercises to help a patient avoid falling back into misalignment. Stretching: Stretches are a natural way to relieve tension in muscles, as well as maintain and even extend range of motion. Self-myofascial release: Despite the technical name, this simply describes ways of getting the knots out. The fascia is connective tissue that forms those knots. These exercises act as a form of self-massage to loosen and relax tight muscles. Strengthening: When mobility improves, supporting proper alignment keeps the patient in best health. Strengthening exercises target joint support. Mobility: More advanced mobility exercises build on the improvements from treatment and exercise, and restores or even improves the patient’s body function over pre-injury capability.